A statement piece of furniture that you can pass lazy sunny or cosy fire side days in. Designed as a statement piece of furniture that you can pass lazy sunny or cosy fireside days in. 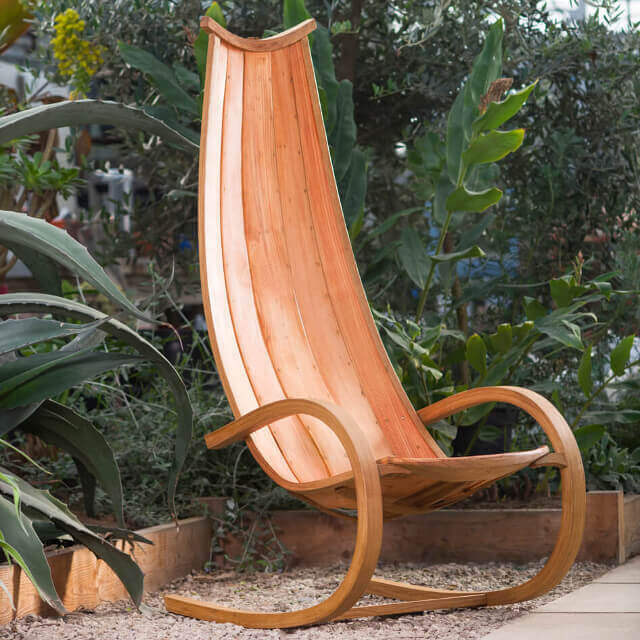 Made of steam bent & laminated oak with larch planks, this chair is built using exactly the same methods & materials that would be found on a traditionally built wooden boat. 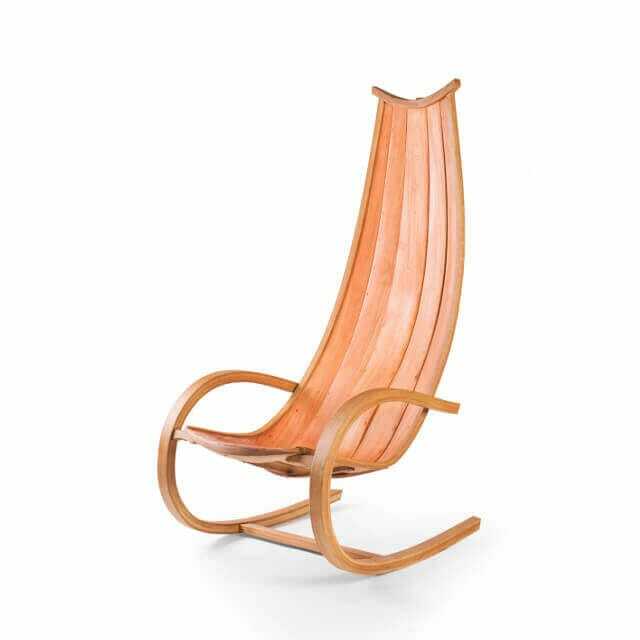 As such, it is equally suited to the patio or indoors. 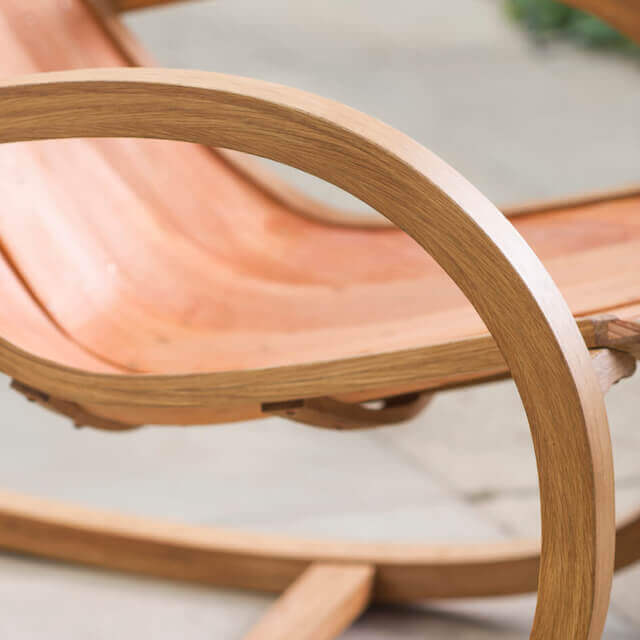 Carl has spent 25 years working at furniture design alongside wooden boat building. 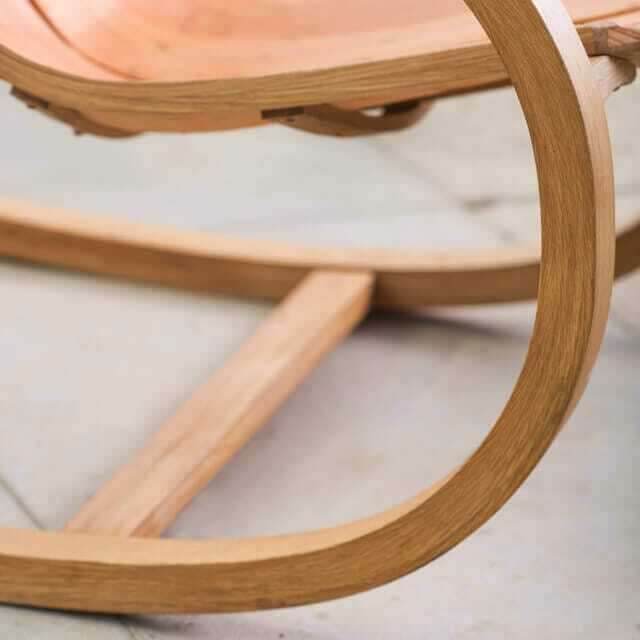 This chair is part of a range that represents a coming together of these two disciplines. 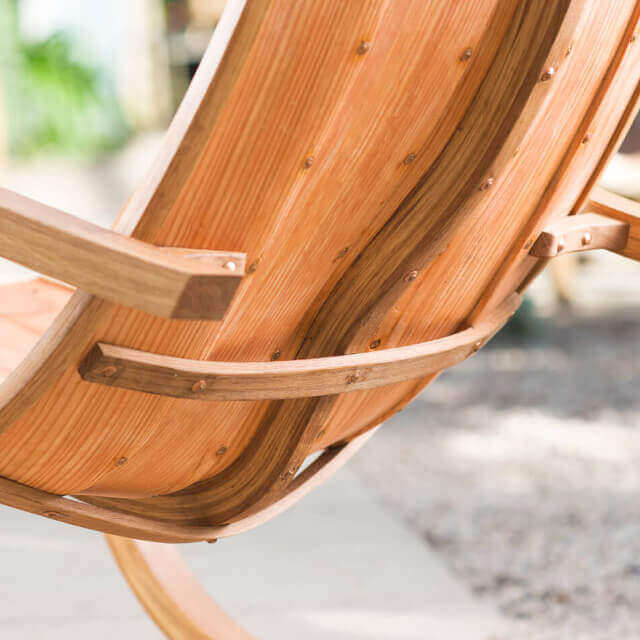 Built using traditional wooden boat building methods, with curves that are designed to support the body comfortably.